Welcome to 3 Up, 3 Down, a new weekly installment where we'll take stock of what's going right in the baseball world...and what isn't. This week we explore how Ronald Acuña Jr. stacks up against MLB legends, reasons for optimism in San Diego and Minnesota, and a trade gone awry in Pittsburgh. The reigning National League Rookie of the Year demolished opposing pitchers over the last week, registering 12 hits in 22 at-bats, including three homers, nine RBIs and seven runs scored. Acuña Jr. slumped out of the gate, adjusting to his move from atop Atlanta’s lineup–where he bashed eight leadoff dingers in 2018–to cleanup, protecting Freddie Freeman and driving in fellow contract extension recipient Ozzie Albies. But after a dominant week in Colorado and at SunTrust Park in Atlanta, the Braves' phenom looks ready to rise from Rookie of the Year to MVP contention. Acuña Jr. is one of just two 21-and-under players in MLB history to hit 30-plus homers in his first 600 plate appearances, joining Dodgers slugger Cody Bellinger. His .935 career OPS through his age-21 season trails only Albert Pujols (1.013) and Mike Trout (.948) on the all-time list. Acuña Jr. has 31 homers in 554 plate appearances. It took Ken Griffey Jr. 1,805 plate appearances to reach 60. Acuña Jr. is on a historic tear, and his production could tilt what looks to be the best division in baseball in Atlanta’s favor. A chief criticism of Manny Machado’s mega-deal with the Padres was the timing of such a splashy move, with a $300 million commitment on the books years before San Diego appears ready to contend. But with a lead in the NL West after three weeks, the critics may have been too eager to pounce on the perennial bottom-feeders. San Diego is unlikely to follow Atlanta’s 2018 path to an unexpected playoff berth. The Dodgers are far better than any of the Braves competitors in the NL East last year, and the Padres’ starting staff still feels a year away. Yet as we turn to the next decade, the division crown could head south to San Diego sooner than we think. The outline of a winner is firmly in place. Machado and Fernando Tatís Jr. are high-contact, high-power anchors, and Luis Urias could help form an Astros-esque infield within a few years. The back-end duo of Kirby Yates and Craig Stammen has allowed just two earned runs in 19 1/3 innings this season, fanning 25 batters in the process. The Padres could contend for a wild-card berth in 2019, with a playoff appearance very much in play in 2020. Friendly reminder they haven't been invited to the postseason since 2006. San Diego’s bats have been impressive thus far, but the Tatís-Machado combo may not even be the biggest reason for optimism. The team is stocked with a wealth of young arms, another parallel with the prospect-rich Braves. Rookie Chris Paddack has been filthy in his first three starts, pairing a tumbling changeup with impressive velocity. Mackenzie Gore continues to climb the prospect rankings (drafted No. 3 overall in 2017) and he could supplant Paddack as the team’s ace in the next few seasons. 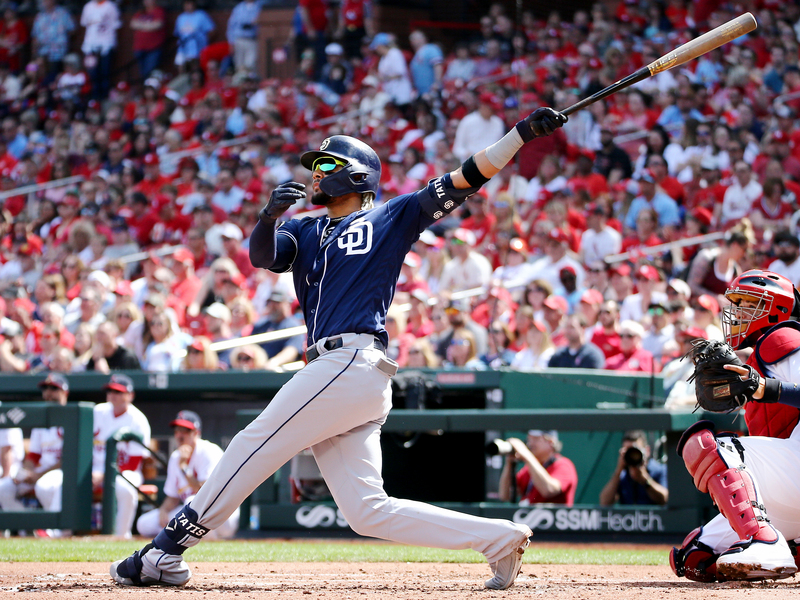 The Machado and Eric Hosmer signings likely capped San Diego’s ability to acquire an impactful veteran starter on the free-agent or trade market. But the Padres depth of young starting pitching should provide enough talent to remain competitive for much of Machado’s contract. The Twins took a safer route toward playoff contention in 2019, eschewing a free-agent splash and opting to lock down members of its young core amid a wave of contract extensions. Minnesota dedicated $60 million to Jorge Polanco and Max Kepler on a pair of five-year extensions, and thus far, the moves have paid off. The duo has racked up 32 hits in their first 99 at-bats (.323 average), with 12 RBIs and 12 runs scored. Polanco is tearing the cover off the ball with an 1.125 OPS, and while regression is a guarantee, both players are valuable assets at controllable costs. Minnesota tried to lock down José Berríos as well this offseason, but the Twins ace deviated from Aaron Nola and Luis Severino’s precedent. Perhaps contract talks will resume next winter. Another early freeze could make the 24-year-old antsy. The Twins recognized the extension trend early and locked down a pair of franchise anchors. Their future is brighter because of it. Will Nolan Arenado come to regret his loyalty in a few years? He’s a newly-minted $260 million man, yet if Colorado continues its recent slide, some doubt could creep in sooner than later. The Rockies have been abysmal to start 2019, entering Tuesday last in the NL West at 4–12. Colorado hasn’t won a playoff series since 2007. There’s little guarantee another opportunity will arise anytime soon. Kyle Freeland and Jon Gray have struggled to provide stability in the rotation behind German Marquez. Charlie Blackmon’s bat is cold, and a return to his 2017 production is unlikely. Brendan Rodgers should be a stable infield cog beginning in 2019 or 2020, but other top prospect Garrett Hampson isn’t quite ready for the show. Colorado lacks some of the depth it had last year, and it may miss DJ LeMahieu more than anticipated. The Rockies broke the bank for Arenado in 2019. They may not spend enough to build a winner around him in 2020 and beyond. Huntington is likely the most anonymous name in today’s column, though he’s partly responsible for the Rays ascension to the best record in baseball. The Pirates general manager acquired Chris Archer in a deal with Tampa Bay in July 2018, a move that will likely be rued in the Steel City for years to come. Archer is off to a strong start in 2019, allowing just four earned runs in 18 innings. The production has been encouraging, albeit miniscule compared to the impact of Austin Meadows and Tyler Glasnow. Pittsburgh’s formerly highly-touted prospects are fueling the AL East leader, highlighted by four home runs and 11 RBI in Meadows’ last five games. Glasnow fanned 11 in a six innings against the White Sox on April 10, his second-straight shutout. Each are under team control through 2024. Huntington and the Pirates received a solid starter for an outside shot at the postseason. The Rays swindled a pair of potential franchise cornerstones. 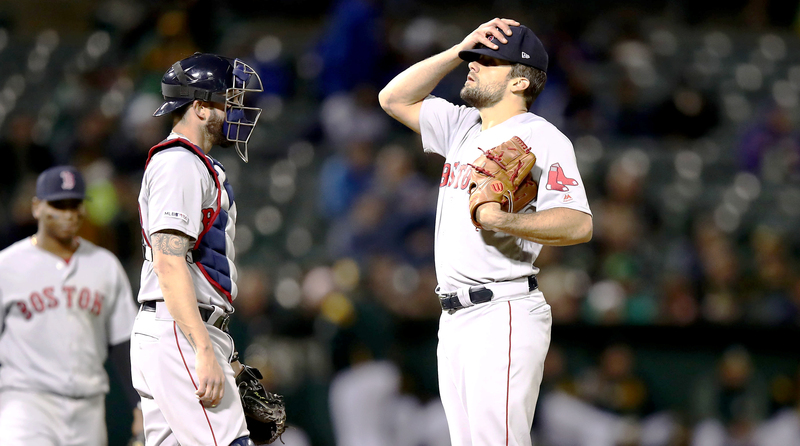 The Red Sox are shelling out a combined $53 million in 2019 to the Chris Sale, Nathan Eovaldi, Rick Porcello triumvirate, one year before Sale’s extension kicks in to the tune of $30 million per year in 2020. What has Boston received in return for its spending spree? Not much. The trio has allowed 41 runs in 39 1/3 innings, tallying 26 walks and 28 strikeouts. None of the three starters have accumulated a win, and Boston enters Tuesday 6–11 after dropping two of three to the Orioles. David Price has been solid. The rest of the rotation is a mess. Sale’s velocity dip has been discussed at length. It could derail him from elite ace to mid-tier starter, though patience should be exercised following Sale’s six-straight years of top-five finishes in the AL Cy Young race. The Red Sox rushed to pay a pair of key arms from the 2018 title team, and the moves could look hasty in retrospect. The cash concerns will rear their head once again in November. For now, Boston will need to stabilize its rotation in a hurry to remain within striking distance of the Yankees and surging Rays.